Everyone wants a piece of the Nokia Here Maps. Nokia HERE Maps is the remaining piece of the pie of Nokia, having sold its mobile business to Microsoft for $7 Billion and later merging its equipment business with Alcatel Lucent. Last month, we reported of interest from different companies including Apple, Facebook, Baidu, Ali Baba and a consortium of German car makers including Audi, BMW and Mercedes Benz. One interesting company also preparing to bid Here was Uber. HERE supplies online maps to major Internet companies including Amazon.com, Baidu, Microsoft, Samsung Electronics, Yahoo and for use in mobile and computer online mapping applications. Apple is reportedly interested in the HERE Maps after the service came to its aid following the disastrous run with Apple Maps. The German car makers are obviously interested in the service to enable them create their own self-driving car projects. Baidu is interested in HERE maps to enable them create a high-definition map of China, something Google has been officially banned from doing. Uber is interested to help drive its core business of getting people from place to place as well as aid efforts in its logistic business, such as delivering food and merchandise. Uber uses Google Maps, with Google also being an investor in Uber with $258 million invested. This is seen as a move to cut reliance and chart its own path. 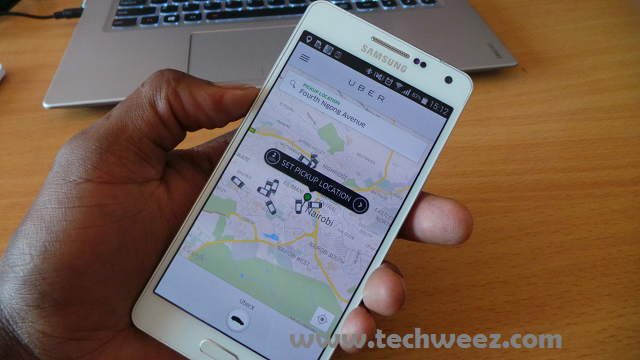 Uber has been working on mapping for sometime following the acquisition of mapping software company deCarta in March.